In a small, gloomily repressed Victorian town, two shy young people are set to be wed -- although they’ve never before met. Crass, social-climbing canned fish tycoons Nell and William Van Dort (voiced by Tracey Ullman and Paul Whitehouse) have always dreamt of joining high society -- but while they’re not lacking in wealth, they’re sorely lacking in the requisite class. Conversely, old-money aristocrats Maudeline and Finis Everglot (voiced by Joanna Lumley and Albert Finney), direct descendents of the Duke of Everglot -- as they will freely profess to anyone who will listen -- are full of class but drained of cash. Their money has long ago dried up, and all they have left of worth is their name and social standing…and, as it turns out, their daughter Victoria (voiced by Emily Watson). While they’ve never seen much worth in her, she may just be their ticket back up the social ladder, as it seems the Van Dorts have a bachelor son, Victor (voiced by Johnny Depp). The Everglots are willing to hold their noses and grudgingly marry Victoria off to the son of the dreadful Van Dorts -- nouveau-riche is still riche, after all. The deal is made, and the two families are quickly in a tizzy, as everyone is quite excited about the impending nuptials…except for the bride and groom. But everybody knows that marriage isn’t about love anyway -- just ask Maudeline and Finis. Victor and Victoria first set eyes on each other on the eve of their wedding, when the families gather for a proper introduction between the soon-to-be-newlyweds, to be immediately followed by a wedding rehearsal. While it’s difficult to say who is shyer, upon their first meeting it seems possible that against all odds, Victor and Victoria’s chance for true love may not have been lost. But at the rehearsal, Victor bungles his vows so badly -- even before he accidentally lights his future mother-in-law’s dress on fire -- that Pastor Galswells (voiced by Christopher Lee) sends him away until he can manage to learn his lines correctly. Humiliated, he wanders off into the dark forest surrounding the village. Once he is alone, he is able to recite his vows perfectly, even going so far as to gently place the wedding ring on the root of a tree as a finishing touch. But it isn’t a root after all. Terrifyingly, the strange and beautiful decaying corpse of a woman wearing the tattered remains of a wedding gown rises up from the ground, wearing Victoria’s ring on her bony finger. 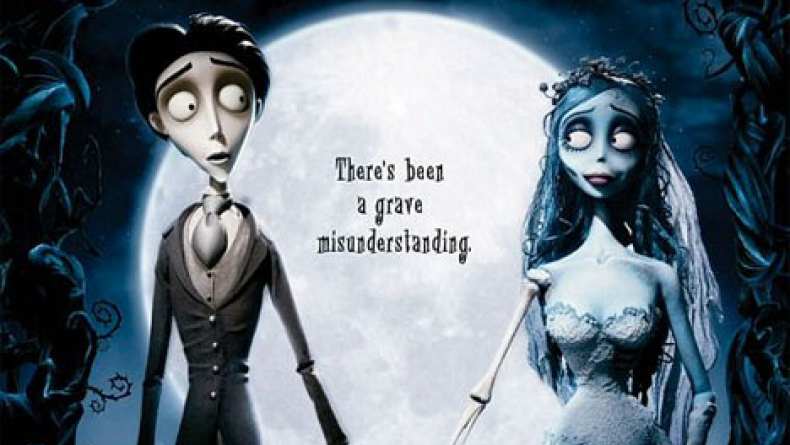 It seems that Victor has unwittingly betrothed himself to the Corpse Bride (voiced by Helena Bonham Carter). Ever since she was mysteriously murdered on her wedding night, the Corpse Bride has waited, heartbroken, for her groom to come and claim her. While her heart may have stopped beating long ago, her search for true love, and a husband to share her eternal rest with, has never ended. Victor has mistakenly become that groom, and is dragged down beneath the earth to the Land of the Dead, a rowdy reversal of the staid life he has always known -- in the Land of the Dead, the pubs are always open and the corpses are more lively than anything you will find aboveground in the dull and somber Land of the Living. While the Corpse Bride is determined not to let him escape the bonds of their unholy matrimony, Victor must find a way to return from the Land of the Dead, and back into the arms of the love of his life. "The Baudelaire Orphans (Lemony Snicket's OST)"
"Theme Montage (Nightmare Before Christmas OST)"
"Water Pistol Attack (Addicted to Love OST)"